how can I be sure I'm getting the best deal on NetSuite licenses and services? how do I know if I’m buying the right modules and the correct number of users? Therefore we put together a series of NetSuite licensing buyer guides to help future NetSuite customers be able to address these questions and many more. This particular guide will focus on how to save on NetSuite cost specifically related to NetSuite licenses. NetSuite Cost Saving Tip #1: Partner, Wisely! When it comes to licensing NetSuite, you have three options. You can work with NetSuite's direct sales and service team. You can work with a NetSuite partner (NetSuite Solution Provider) or you can work with an accounting agency that is affiliated with NetSuite's BPO program. You can license through NetSuite’s direct sales organization. This team consists of various commissioned telesales departments segmented by industry and company size and sometimes by product. The direct sales team does have their own professional services organization and offers an implementation methodology known as SuiteSuccess. SuiteSuccess, while valuable for some organizations, may be perceived as a one size fits all approach to NetSuite implementations. Direct access to the software vendor and its employees - some customers like this. Structured sales methodology and lots of resources for product demos and evaluations. Some newer products may require NetSuite Professional Services team to implement. Services and support tends to be more expensive. NetSuite’s BPO program is designed for accounting agencies that bundle software and accounting services into a monthly package. With the BPO program, you do not license your own NetSuite instance that you can customize and configure for your specific business. Instead the BPO partner provides you with a NetSuite instance based upon the agreed upon deliverables. The BPO program is ideally suited for well funded small companies that have high growth potential but do not want to staff out an accounting and finance team. NetSuite Solution Providers are consulting organizations that provide NetSuite services as well as assist clients with acquiring NetSuite software. NetSuite Solution Providers and NetSuite’s direct sales team work off an identical NetSuite price sheet, so on the surface, it appears there isn’t any inherent pricing advantage of going direct vs. working with a partner. 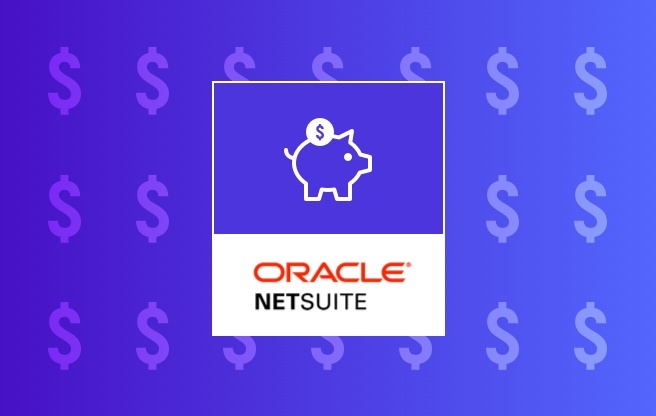 NetSuite subscription remains on Oracle paper. Partners do not resell NetSuite. Experienced consultants help you evaluate and acquire NetSuite. NetSuite’s growth has created a surge in new partners - be sure to find reputable partner with substantial NetSuite depth. By working with a NetSuite Partner for NetSuite licensing they will educate you on the potential pitfalls that come with NetSuite licensing, after all it's what they do for a living. One common mistake we see from potential NetSuite buyers is the thinking that they can renegotiate their NetSuite licenses next year when the subscription expires. The most important transaction you will ever conduct is the initial. All future renewals are predicated on the initial Subscriptions Software Agreement (SSA) and license estimate you originally signed. Therefore it's important to get it right the first time. By working with a Solution Provider partner, they will be able to help you negotiate and secure an amazing contract to maximize your NetSuite ROI. For many buyers, this is common knowledge however if you’ve never purchased enterprise software keep reading. Publicly traded software companies like Oracle, Salesforce, Microsoft, etc. are laser-focused on their monthly and quarterly performance. If they catch wind of a potential sale on the final business day of the month or quarter, they will have the full attention of their senior management to make a deal happen. If it’s the final business day of the fiscal calendar, nothing is off the table. Be sure to strategize the timing of your license acquisition not only to meet your organization's timelines but also to be the hero in your organization and maximize your NetSuite ROI. NetSuite software is 100% subscription based. Therefore when you license NetSuite, you only get access to the software for a pre-defined period of time. There are pros and cons with this arrangement. On the one hand, this frees up capital and provides maximum flexibility compared to the days of on-premise, perpetual software acquisitions. The flipside, however, is that ERP is very sticky and NetSuite knows this. It's not easy to pull the plug on one ERP vendor and switch overnight. A Solution Provider partner can work with you to propose a longer-term contract with a fixed cost for the initial subscription term plus lock in rate increases well beyond the initial term. By structuring your agreement this way, this eliminates any future surprises and frustrations. It’s a win-win for everyone involved. One common mistake first time NetSuite buyers make is believing they need to license everything they might need upfront to get a better deal. The beauty of SaaS ERP software is that you can essentially turn on new features and users as you need them, on demand. There might be a scenario where it makes sense to make a larger purchase in exchange for a concession but generally speaking, customers that license as they go tend to save more money on NetSuite licensing. Licensing ERP software for the first time can be overwhelming.You can't afford to mess it up! Let Techfino, the NetSuite licensing experts, help you navigate the complexities of your NetSuite evaluation and ensure you get the most value for your NetSuite purchase. Looking for more great info on NetSuite Pricing? Check out our Ultimate NetSuite Pricing Guide.